Don’t let the name fool you, this unique eatery boasts more than just a wine list distinguished by a Wine Spectator award. Designated a Feast Ontario restaurant for its’ commitment to sustainable and organic regional fare, Bruce also serves up the best wood-fired Neapolitan style pizza north of the GTA. Add an impressive roster of independent Canadian musicians playing Fridays and you’ve got the vibe! A funky eclectic design houses 25 cozy seats surrounding the open kitchen and another 40 in a loft-inspired space which includes a communal harvest table. Once a tiny wine bar serving small plates three nights/week, Bruce has come into its’ own as a full-scale restaurant offering seasonally focused lunch, dinner and take-away menus daily, as well as catering for private parties and large events. Bruce caters all types of functions from family gatherings to weddings. please contact us to discuss. On Friday there are two dinner show and 7 and 9pm featuring up and coming canadian artists..sometimes it can be a little loud! Warm casual decor with good food and well-rounded wine choices for every budget. One of the best choices for the region and a must if you're eating locally. 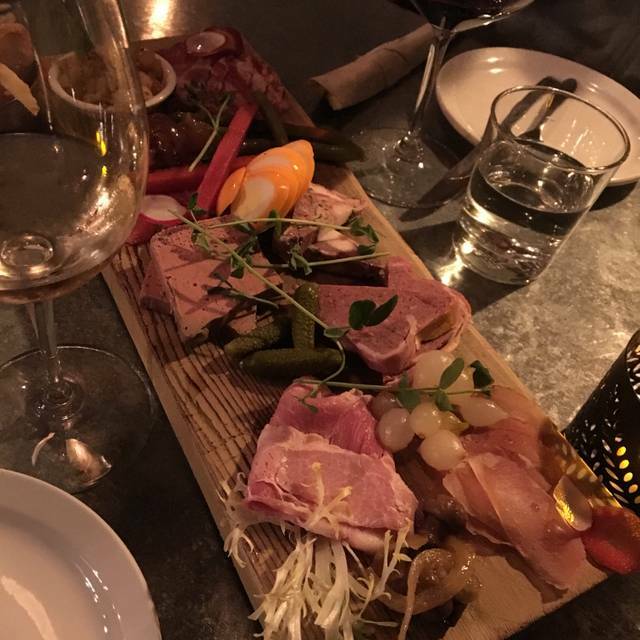 We went out for dinner at a nice restaurant in Toronto last week, very expensive - Bruce Wine Bar meals were all delicious, as usual, and the bill was considerably less. Very pleasant, friendly wait staff. Our friends had never been before and were impressed. We have never been disappointed. Everything was wonderful. Having bad knees however, I found that the stairs were a bit too much for me to want to tackle on a regular basis. Anyone with bad legs, please note that the dining area is up a rather large flight of stairs. Loved the whole experience except for the number of kids! Who brings their kids to a wine bar? Also it took a while for us to order a glass of wine and it would have been nice to have more choices by the glass. Nonetheless, the wine was delicious and the pizza was outstanding! I would definitely return but maybe come at a later time. This was a special birthday dinner for a friend's birthday and her first time dining here. The restaurant has two levels with an semi-open kitchen and bar height tables on the main level. When I arrived and saw that we were seated on the main level by the entranceway, I asked if there was something upstairs and the server responded curtly "no, we are all full - it's March break". Yes, there were many children, relatively well-behaved, but I would have preferred to 'show off' the upstairs restaurant to her. (We did take a walk upstairs after dinner - no kids up there). We stayed and dined, but there was quite a din! In the past, the rustic food has been excellent, however, this time the kale salad on the menu was substituted with romaine and the thai soup-of-the-day was served without bread or even a crostini. The special pizza was a disappointment, garlicy but bland. The ice cream dessert was tasty, but not much of it. 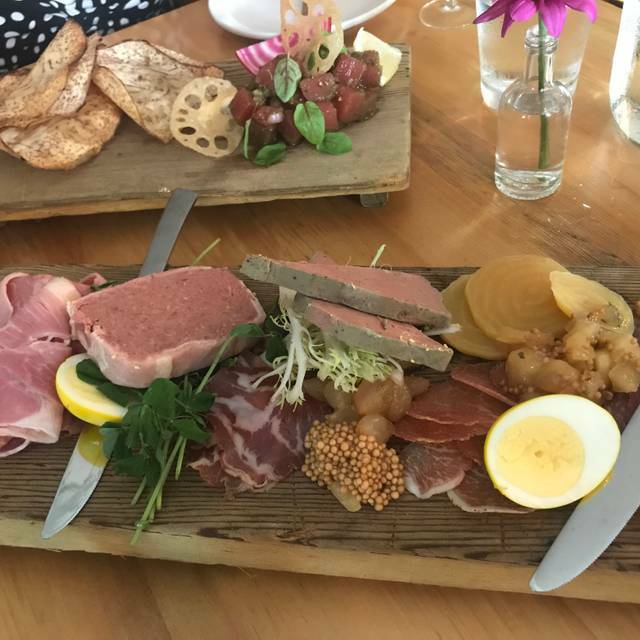 Thornbury is know for it's up-scale, pricey restaurants, but this time Bruce Wine Bar did not measure up. My friend and I shared the fungi pizza and the feature which was chicken and dill sauce and they were literally the best pizzas I've ever had! Had a great evening, Cindy was great and the food was great value for the money. Good wine list for such a small venue. Everything was great, except there was a person 2 tables away who’s phone rang 3x and he took the calls and his text or email alerts kept going off the entire time we had lunch-It’s too bad people don’t just understand how rude this is. And that it affects ambiance for others. I also think a suggestion from restaurant staff to put it on silent may have been warranted. Very nice lunch with friends from out of town. Service was excellent and food was delicious. Highly recommend. Our food was delicious! Loved the Kale salad! Our server was so friendly! We had a great time! Beautiful little restaurant in Thornbury. Great design, ambience and vibe! We liked the wine list, paired menu options were outstanding, service was perfect and dessert was very good as well. A jewel by the lake! I love everything about that place! I cant wait to celebrate there again soon. We dine at the BWB on a regular basis, but Saturday's lunch was very disappointing. It was an hour before we received our food, my husband and I shared a burger, which had obviously been sitting for quite a while, was not hot and our friends pizza did not arrive till after we were finished and it was not good. Very disappointing, our server offered us a complimentary dessert, which was kind but really didn't make up for the poor lunch. Outstanding meal, and terrific, knowledgeable waiter. Wild boar was very good, and the recommended wine pairing was perfect. Top shelf! Was seated at a communal table for Valentines Day...no prior warning. 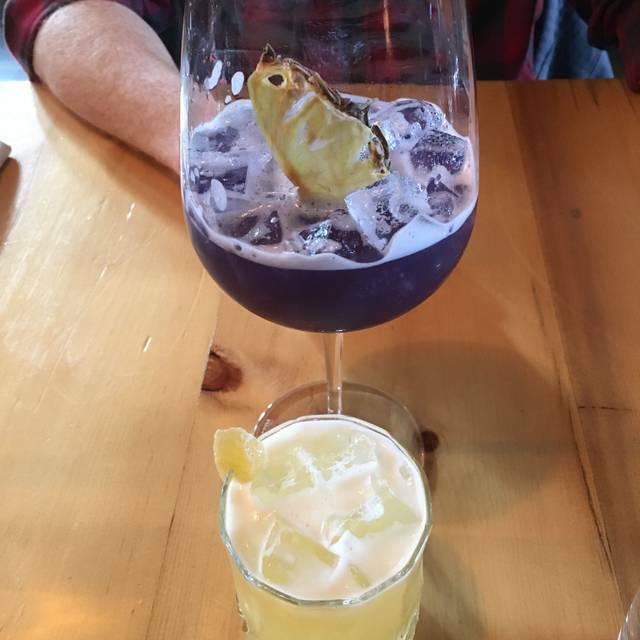 Ordered 2 drinks, 1st came after 20 minutes, 2nd another 10 minutes later. Having said all that, server was excellent, as was the food. Maybe under staffed? We aLove It here! Easy to make a reservation, staff are always friendly and the food is amazing! Being upstairs is fun and it’s a unique space. Never disappoints, and always friendly faces that remember you name. 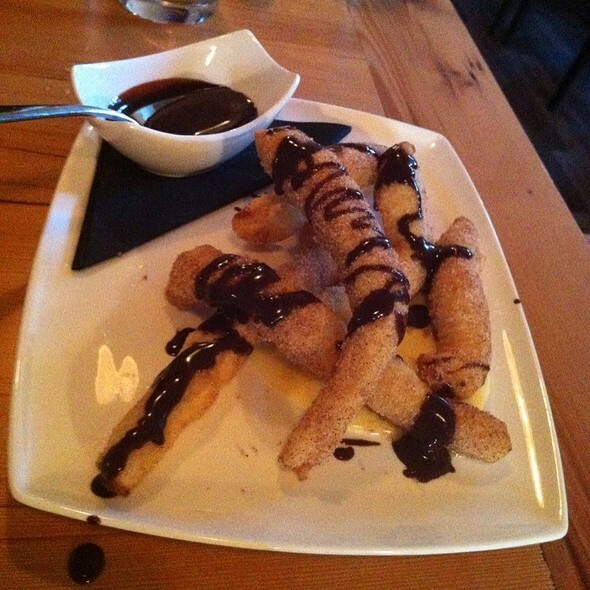 It still amazes me that the foodies around the Collingwood , Thornbury area have never been. This is a must stop on your food circuit. We arrived at the anointed time, and our host, with little ceremony directed us to our table. We ordered the short ribs, but got pot roast, that's what it tasted like. Not that it wasn't tasty, but we were disappointed, as there was not a rib to be found on the plate, and at a premium price, $33/plate. We ordered wine by the glass, a mediocre Pinot Noir, at $13 a glass. Pizza, the house specialty, may have been a better bet. We were somewhat appeased by dessert, a great chocolate confection. Be aware that the acoustics of the place do not lend themselves to conversation with companions. Dinner for two, with wine and tip came to about $160. Always a great time with great food and cocktails. Live the weekly entertainment. Brilliant food, service and ambiance. Live music. We always have a great experience. Tonight entertainer Cory Mercer was exceptional. 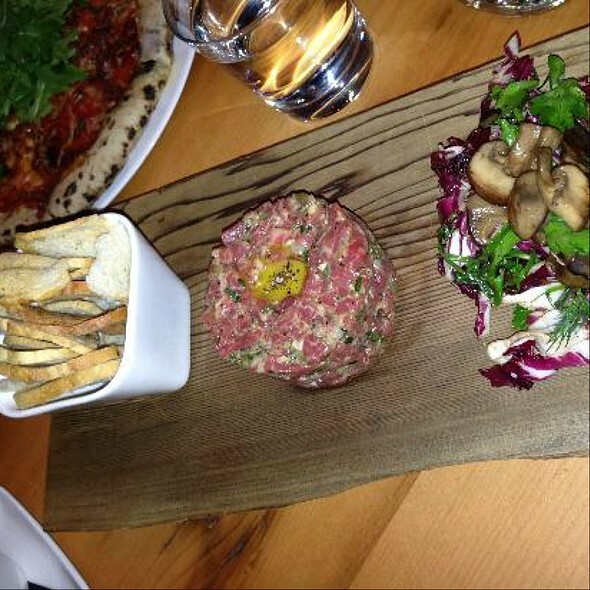 We just love Bruce wine bar. The chefs really are extra skilled and the people are so friendly and fun. Very good but entree portion small. We really enjoyed our dinner. 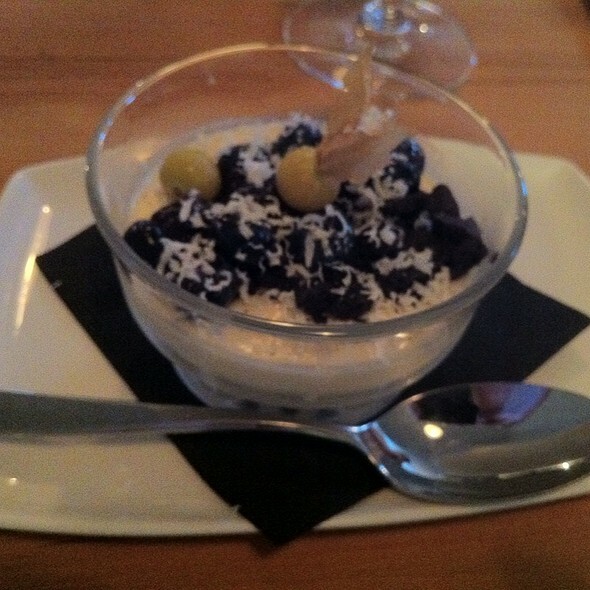 Our server was really sweet and attentive and the food was interesting and very tasty. My second time there and I would go back. Great ambience and food however the kitchen could not manage orders well. Food was slow and ready at different times. Very disappointing. Friendly staff with good service. Excellent pizza, salad and sandwiches for lunch. We sat on the high bar stool table downstairs closest to washroom. They also do a brisk takeout pizza business. Lovely food and quiet ambience. The pizza is scrumptious! We just moved to Thornbury and trying the local restaurants. So far they have all been very good. 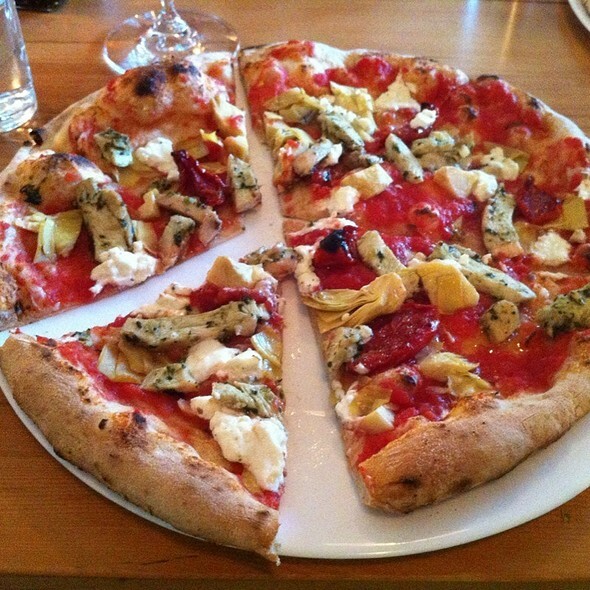 We thoroughly enjoyed the Bruce Wine Bar and will definitely return for their pizza. So delicious! Wine is a little expensive. Bruce Wine Bar is such a lovely spot and promises good ambiance, good service, good wine and good food featuring locally grown seasonal produce, products and meats. What more could you ask for? 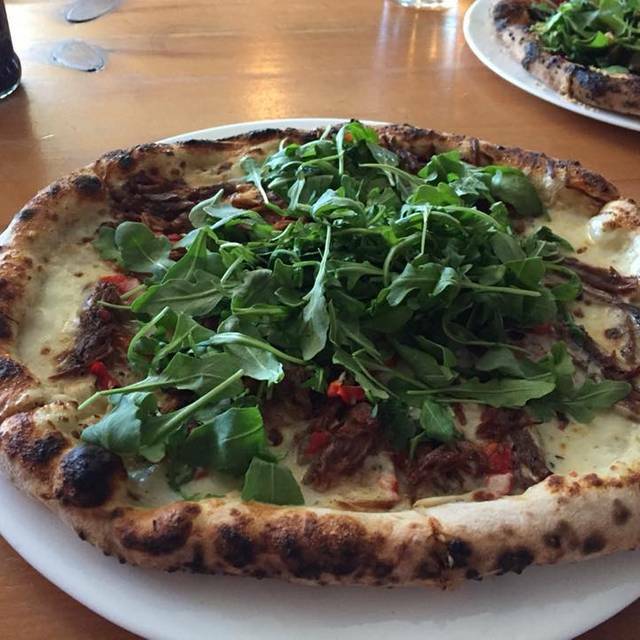 The boneless short rib was cooked to perfection and the Ontario pulled duck pizza was delicious. We thoroughly enjoyed our entire meal and will visit again and often! I’m a regular at Bruce’s and it is always outstanding. Tonight was, however, EXCEPTIONAL. Lovely servers....very friendly and warm atmosphere.